The La Instructora line is one of those sneaky brands that doesn’t do a lot of intense marketing but rather lets the tobacco do the talking. Quietly released in 2016 and on a larger scale at the 2017 IPCPR. 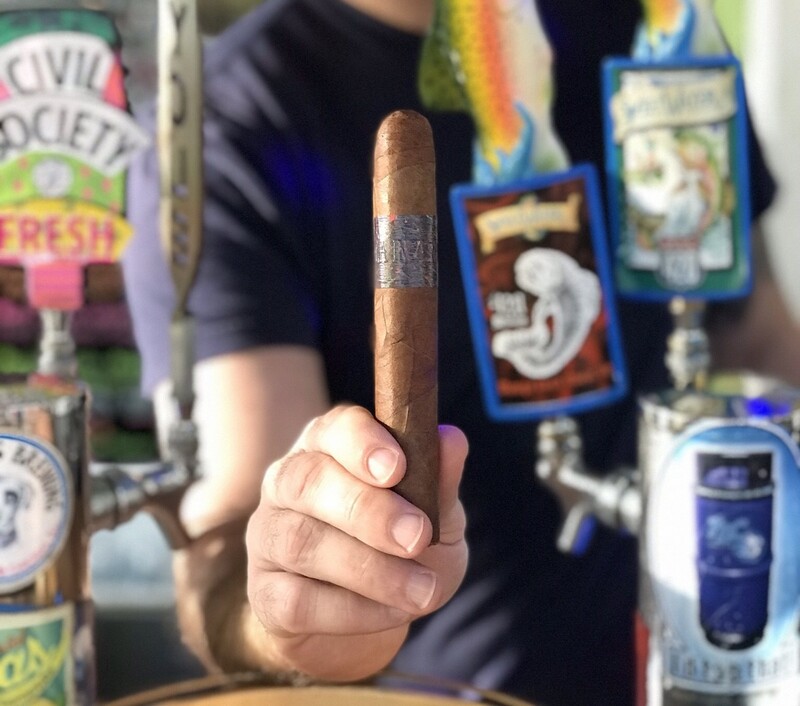 The line was formed by farmer Jose “Jochy” Blanco of Tabacalera Palma and Aaron Saide owner of Chatham Cigar in Midland, Mich. during a work trip Aaron had taken to Santiago in the Dominican Republic. It was by happenstance that the Perfection cigar became a brand with a Aaron having a chance run in with one of the rollers who made a cigar for him to smoke. He liked the cigar so much that he went back the next day and began working out the details for the blend with the head roller until the line was perfected. I was able to get my hands on some of the Perfection cigars and had a great time smoking them. The look of the cigar is interesting with it’s oily red color Ecuadorian Habano Rosado wrapper. It is fairly smooth but there is some veining to it. The seams are nice, tight and nearly invisible. The construction is firm to the touch and no dead spots could be found along the body. The cap cut easily with no damage taking place to the cigar. The smell from the body was a nice barnyard aroma mixed with a hint of sweet spices, from the foot it was similar odors only more pronounced. The cap cut easily with no damage taking place to the cigar. The pre-light draw gave a minimal resistance but was not a struggle and gave the usual rich tobacco flavor that I prefer along with a bit of malt and sweetness. It lights easily and and the first flavors are quite spicy. The smoke production is large and medium bodied, resting well on the pallet so flavors can be extracted. The flavors of the first half of this cigar are red pepper with a bit of earth and leather near the finish. The cigar burns well keeping an even edge and maintained its excellent construction. The second have had a slight transition where the pepper flavor moved more to the back seat and the earthiness became more prevalent along with the addition of some coffee notes. The burn continued to remain even and there was no need to touch up the light at any point. This was really a surprise hit for me. After having seen them in my local B&M shop for a while I was always curious to try them and glad I did. While I would describe it as a medium to medium full bodied cigar it’s profile is accessible enough to be smoked by anyone. If you have yet to try this line I would suggest going out and getting a couple because you will not be disappointed. Hiram and Solomon popped up on my radar a couple years ago when I was looking for a smoke in a not so pleasant downtown cigar shop and I spotted their band. Since at the time it was something new to me I picked up a few sticks and gave them a try. Turned out they were pretty good and next time I was back downtown I went into the same shop to get some more and for some reason they had stopped carrying them. Bummed I left the store empty handed and started looking elsewhere, and of course it didn’t take long to find them. Recently I ran into Fouad, George and their rep Heather (who just happens to also be a DR Member) in town and as we were talking the conversation lead to the new Traveling Man lancero that is being released. After smoking one with them I knew I wanted to write about it so I brought a couple more back to try and this is what I found. Construction wise, it doesn’t have that traditional rigid nearly hard feeling that most lanceros have, this has a bit of give to it. The wrapper has a lovey milk chocolate color to it with a nice velvet sheen and there is very minimal veining. The seams are tight and there are no areas that fill unfilled. The smell from the body and the foot reminds me of smoked foods and hay. 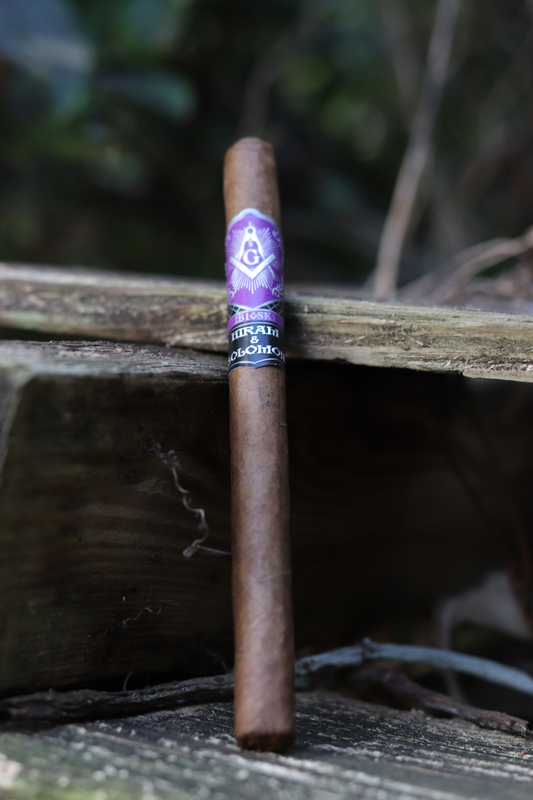 The cap cuts off easily and with no damage to the cigar, pre-light flavor has a slight sweetness on the tongue along with rich tobacco flavors. The draw is easy and offers little resistance. It lights easily and burns evenly. For a lancero it produces plenty of medium weighted smoke with a bread like consistency. The initial flavor is mild but well balanced. The first half is slightly sweet and creamy with a bit of barnyard notes. There is a hint of pepper hidden in the finish but is not very noticeable. The smoke production for this cigar is fantastic giving large amounts of the same medium weight smoke noticed from the initial light. While the ash does drop off fairly easily the burn is even. Once reaching the second half of the cigar the sweet and creamy taste remains but now the pepper flavor is more apparent along with other spices and a light woodsy taste. The burn continues to be razor sharp and the smoke is full. At no time did I need to touch up or re-light this cigar. This really did end up being a great cigar. Hiram and Solomon describe it as being a “medium body blend that is masterfully encased in a silky Sumatran wrapper from the island of Indonsia. The thick smoke is rich in aroma with a hint of spice and coffee on the palate. The Finish is soft and subtle as a creamy texture melds with notes of cocoa leather.” While I enjoy most things from Hiram and Solomon this one has become a quick go to for me. It has a great construction, great flavor and a great burn time. If you haven’t had a chance to try their line yet I would recommend starting with the Traveling Man lancero, its strong enough for someone that likes a fuller body but the creaminess of it makes it feel light enough for everyone. So as cigar smokers we all want to keep tabs on the humidity levels and temperature to make sure our settings are ideal. 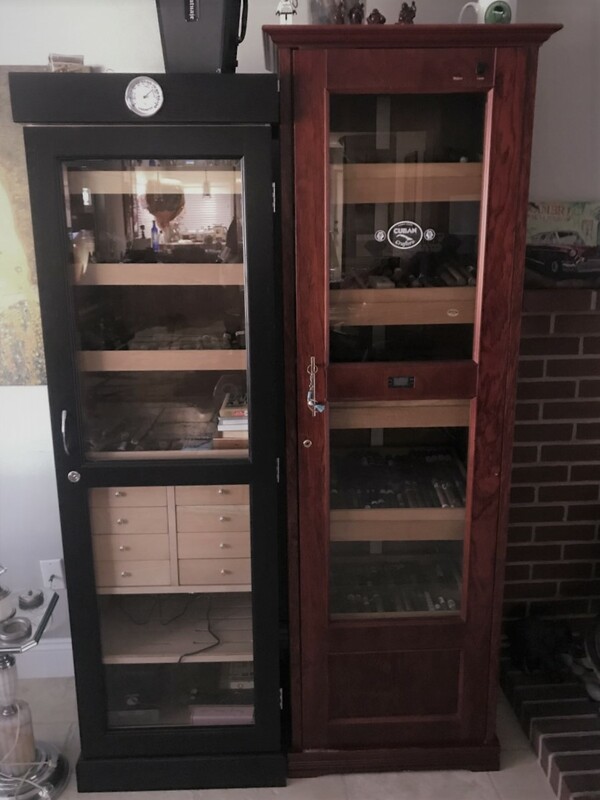 There are of course several items on the market for doing such and can be placed around your humidor so they can be seen easily when you walk up to the humidor or when you open it and peak inside. This is all well fine and good if you want to know the level of humidity at either the top of your desktop humidor or the front of your stand up humidor or if you want to lose a multitude of humidity by opening the humidor every time you want to get a reading. But what about those of us who don’t want to get up off the couch to check? Seriously though,many of us cigar smokers are in essence collectors and become very neurotic about our collections. We like to monitor the readings throughout the day and it would be great to do this even when not at home. This is where the Cigar Scanner WiFi Hydrometer and Thermometer comes in. 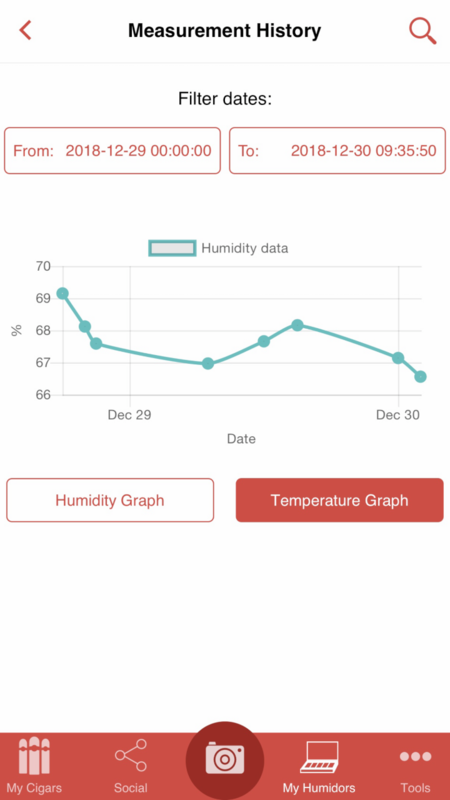 I received the Cigar Scanner WiFi Hydrometer and Thermometer at the beginning of December and got to work setting it up. Now the system is a bit old fashioned having a standalone gateway (I mean this is 2019 after all) and the other thing that I didn’t care for was that it did come with the USB cord to connect to the gateway but no power block to plug it into the wall. So after rummaging through all of my old iPhone chargers I managed to dig one up that wasn’t being used and plugged it in. Now I could say that getting the gateway connected was as simple as stated in the instructions but that just wouldn’t be true, after about two hours or so of fighting to get it to connect and resetting the gateway and admin passwords I did finally have success. From th ere a simple press of the button activates the sensor and in the humidor it went. Once I finally had that all connected I opened up the Cigar Scanner app which, until getting this, I had not used before. 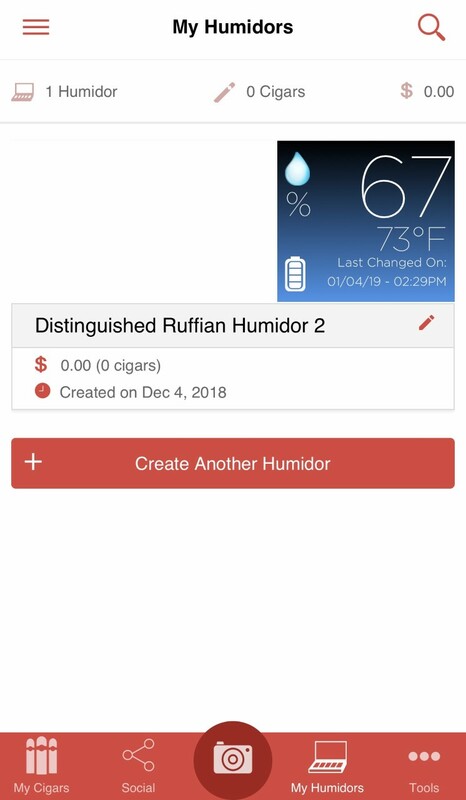 The app itself is pretty well laid out, there’s a social side to it for posting photos and giving ratings of what you’re smoking, a tools section with a decent amount of information, a my humidor section which is where you will find the readouts from the hydrometer/thermometer as well as adding cigars to your collection so you know what you have on hand. Don’t want to type in all that info for each cigar you have? Not a problem, just take a photo of the cigar and let the app figure out what you have. But back to the hydrometer. I chose to test this out in my newer large floor humidor to make sure I could move the sensor around and check how it would read in various areas. Each time I moved it I made sure to move my standalone Xicar hydrometer as well the attached Cigar Oasis hydrometer sensor to verify its readings. 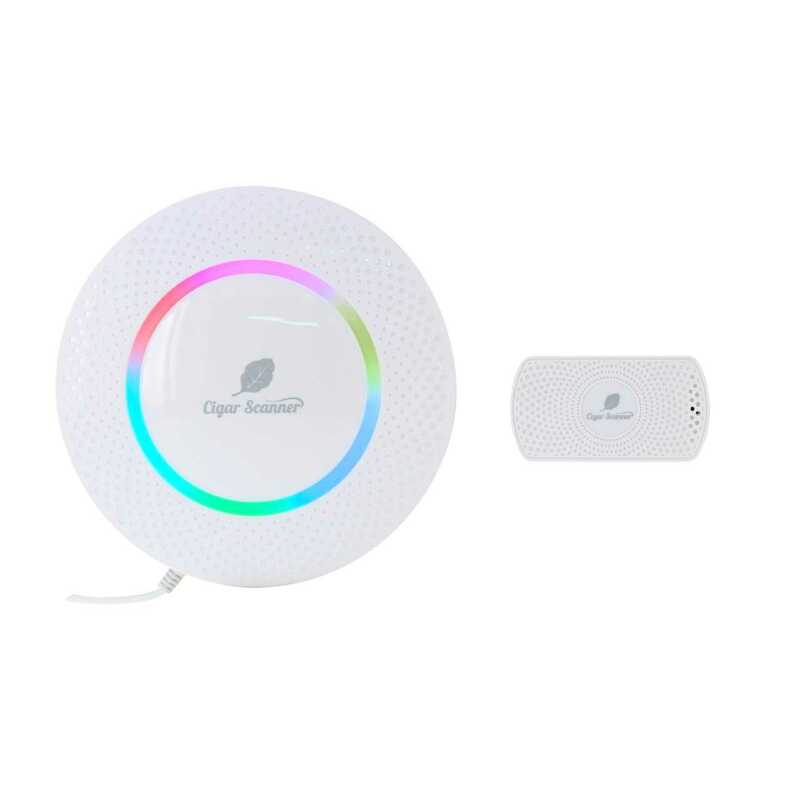 After a month of moving the sensors around and tracking the data from all three units I found that the Cigar Scanner WiFi Hydrometer and Thermometer read accurately and I had no problems with losing connection to my phone when checking the reading from the app. In all I’m pleased with the functionality of the hydrometer and thermometer, given that it is a bit odd to have a standalone gateway and the set up is a bit tricky, it still wasn’t that bad to deal with. 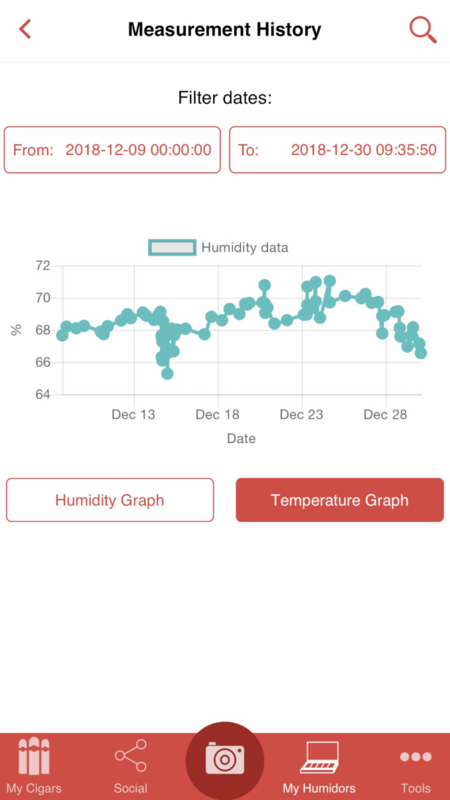 The app is a fun novelty to play around with, keep track of your collection in a relativity easy manner and can track your your humidity and temperature readings anytime you like. You can even look at the readouts in graph form by day or for a given length of time that you choose to look for unwanted fluctuations. While the $99.00 price tag does seem a bit high for what it is at least, unlike Cigar Oasis, there isn’t a subscription required to utilize the product and app after you’ve purchased it. So if you’re in the market for a WiFi enabled hydrometer/thermometer system the Cigar Scanner WiFi Hydrometer and Thermometer is a safe bet.